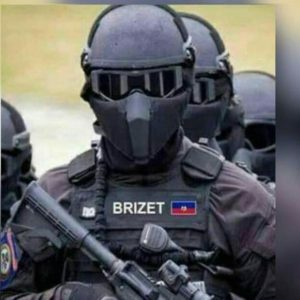 The relentless attacks on democracy in Haiti continue as Haitians, who have lived under United Nations MINUSTAH military occupation since the 2004 coup d’etat against popularly elected president Jean-Bertrand Aristide, rise up to demand governmental accountability and economic justice. The most recent wave of protests began in early September marking the anniversary of the Sept 11, 1988 St Jean Bosco massacre. 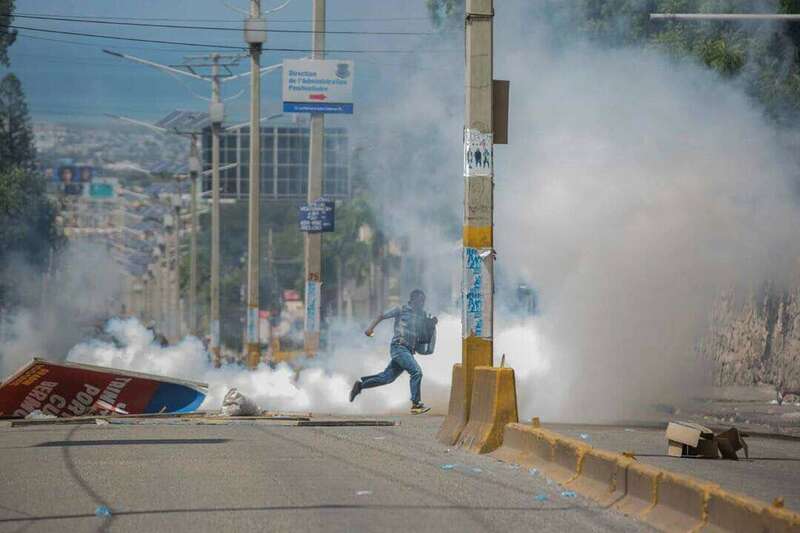 10/24—Demonstrations continue to erupt throughout Haiti, braving the terror of the Haitian National Police (PNH) and affiliated paramilitary forces. The demonstrators assert that Jovenel Moise and his illegitimate government are no different than the old Duvalier dictatorships, and they refuse to accept it. They demand the resignation of Moise, along with the resignations of similarly imposed corrupt members of parliament. 10/17–The Moise regime attacked demonstrations throughout the country marking the anniversary of Haiti’s first coup d’etat in 1806 and the assassination of its first head of state and founder General, later Emperor, Jean-Jacques Dessalines. He is revered as a personification of Haiti’s independence, and for his relentless campaign to distribute land to the formerly enslaved African majority, the chief reason for the coup against him. 10/12–Members of BOID, the militarized unit of the Haitian National Police (PNH) trained and supervised by the UN/US occupation with U.S. taxpayer dollars, rampaged through the Port-au-Prince community of Lilavois, burning down houses and terrorizing the population in yet another case of repression and collective punishment. The short video posted on “HaitiInfoProj” on 10/25/17 was filmed in the dark during the police terror and is accompanied by a plea “…BOID terrorists set fire indiscriminately to cars, homes and businesses of people struggling to make ends meet…, shooting tear gas that is greatly harmful to children with asthma… How can we blame people for leaving Haiti…?” Radio and witnesses reported that one person is known to have been executed, others have disappeared, and many others severely beaten. Widely supported general strikes took place on September 11 and October 2. Teachers have not been paid in months, and the regime is attempting to destroy the informal economy by squeezing out the market women, taxi drivers and other sectors to force people to rely on the ruling elite-owned supermarkets and corporate services that make profits for the wealthy and further marginalize poor people. 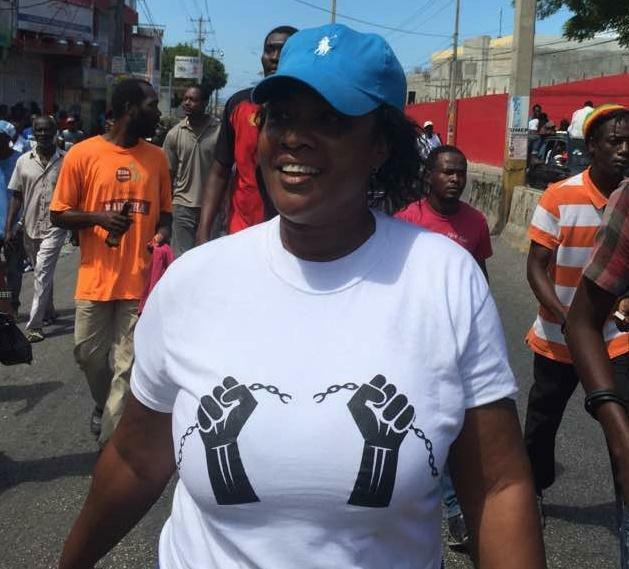 The Haiti Information Project reported that a September 25th general strike was called off by union leaders who were bought off by the government, but many people participated in the strike anyway. The occupation government has met these demonstrations with savage repression, attacking demonstrators with batons, bullets, tear gas and an irritant shot from water cannon that stings and burns the skin. The police and government-organized militia also follow people after protests, beat them with baseball bats, and frequently arrest them without cause and detain them without trial as is the case of the co-host of “Radio Timoun (Youth Radio)” show “Political Education.” Death squads operate with impunity. L’Initiave des Avocats pour la Promotion et la Defense des Droits Democratiques (Initiative of Lawyers for the Promotion and Defense of Democratic Rights) reported in a Radio Timoun interview on 10/7/17, 15 people killed and over 40 arrested, with many others wounded. During the protests on 9/21/17, government forces killed a young protestor in Port-au-Prince; another was killed the day before in Hinche. Many were arrested and wounded also in Trou-du-Nord as the infamous militarized police unit BOID assaulted demonstrators in Arcahaie, destroying taxi-motorcycles and other businesses of community residents. Children in school in Les Cayes were attacked with tear gas because they supported the general strike. The outraged community responded with rocks against the police in defense of their children. The State University of Haiti has closed the schools of Humanities, Law and Ethnic Studies due to ongoing strikes and protests. Many young people who want to pursue higher education are forced to leave the country. This highlights the importance of UNIFA, the University of the Aristide Foundation, as a center of learning dedicated to advancing the needs of the country and engaging Haitian youth to that end. After an “electoral coup” that brought to power the Moise administration without any pretense of a democratic process (see the new Haiti Solidarity page 6 “Haiti 2017: From Demonstration Election to Electoral Coup”), the illegitimate government imposed by the US/UN occupation now targets the very right to vote, by implementing taxes that would make voting itself a commodity out of the reach of poor Haitians. It will now cost a minimum of about $254 to obtain a voting card; the cost is associated with the payment of new excessive fees and taxes that have so outraged the Haitian public. When the minimum wage hovers at around $4/day, these taxes are one more form of electoral corruption, as many will not be able to afford to vote. This is what the “democracy” being imposed on Haiti looks like. Besides robbing Haitians of the right to vote, the new taxes will also rob them of their very land, because new taxes on land would cost the average farmer from ~$3900-$5,200/year, way more than they can possibly afford. If the farmer cannot pay, their land may be confiscated. In addition, Haitians living outside the country will reportedly have to pay $186 in additional taxes to enter Haiti. As the Moise regime attempts to destroy democracy and extort money from the impoverished population, it continues the tax holiday and lucrative no-bid contracts provided to the rich. It can pay a $20,000 per diem for the president to travel and similarly obscene rates for his family and entourage, it can lavishly pay off members of parliament for their vote, pay for death squads and restore the brutal military dubbed the new “Tonton Macoutes”, but it has no money for education, healthcare, trash removal, or the basic needs of the population. A mafia is in power in Haiti, imposed in full collaboration with US/Canadian/UN/European designs on Haiti’s land and resources. Despite the repression, resistance grows, as more people demonstrate in more and more places. The situation is very grave and demands active solidarity. TAKE ACTION: Help us report the news! Since the media either blocks or distorts news from Haiti, we ask that you, our supporters, become a people’s media for Haiti and help us report the news. Please forward this information to your lists, like us on facebook, follow us on twitter, and buy and help distribute our newsletters – 5 copies for $20! Haiti needs solidarity, and now is the time. Donations can be made by check to Haiti Action Committee, mailed to P.O. Box 2044, Berkeley, CA 94702.